On all packages a non-refundable deposit of $500.00 is due on the day you book. Slide Show, a video of your pictures put to music – There are two types of slide shows available, one can include pictures of the bride and groom growing up followed by them dating, which includes friends and family. This is typically shown at the reception. A second could be based on the photographs taken at the wedding. The price is based on the number of pictures. 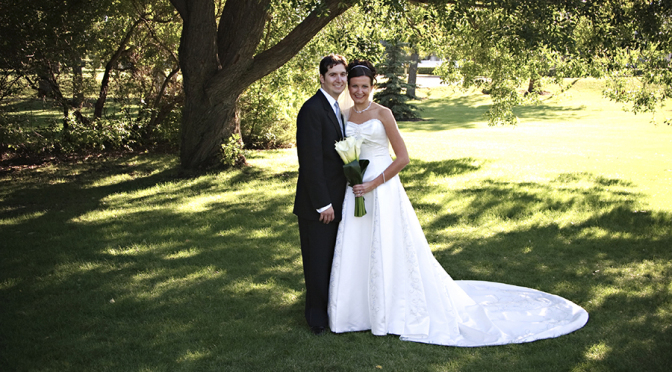 Bride and Groom Interviews – These are scheduled no later than a month before the wedding. It covers how you met, how he proposed, and your thoughts about the upcoming wedding day. These interviews are then edited together with the wedding day footage providing a story that is all your own, and in your own words. A Travel Fee Applies for weddings outside Seminole, Lake, and Orange counties. Contact us today to book your wedding video.